London can be a daunting prospect for those looking to find a place to stay or work- with prices so high across the capital, finding anywhere with a bed to sleep in can be hard. 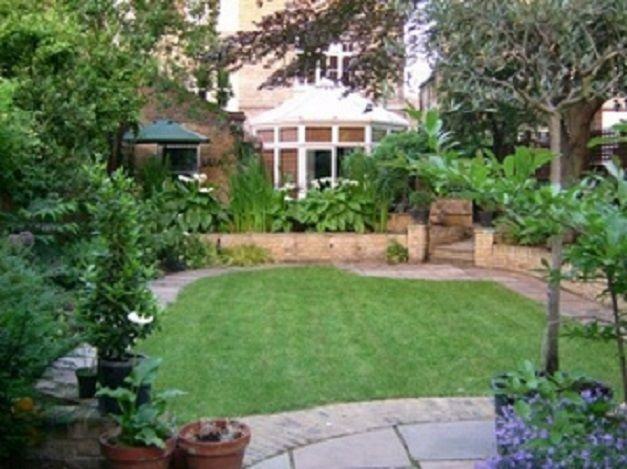 Luckily for those looking for places to stay in London or in other expensive cities around the globe, House Sitting websites such as Trustedhousesitters.com, Housecarers.com and Housesitmatch.com give a perfect alternative to renting or buying a house, for those who wish to stay somewhere decent without the cost. #1 | What is House Sitting? House Sitting is the act of watching a house for the owner while they’re away. This most often means simply protecting it from intruders- squatters, burglars, zombies, whatever- and keeping it clean and tidy, for however long they’re abroad. However, many owners on House Sitting sites are also looking for a sitter to watch their pets while they are away, so feeding, cleaning and protecting their pets will often be a priority too. Beyond this, simply respecting the home and its owner will be enough while living there, and the rest of your time is yours to spend freely. #2 | Which are the Best House Sitting Websites? TrustedHousesitters is the most well know and widely used House Sitting site with 5/5 rating on Trustpilot and more House Sits than any of the other similar sites, while Housecarers is cheaper than Trustedhousitters but with less listings. Housesitmatch.com is another nice and useful house sitting website with great reviews on Trustpilot. We have only tried Trustedhousesitters so far and we were super happy with the whole procedure and service. #3 | How Do I Sign Up to Become a House Sitter in London? Signing up to a House Sitting website is the first step- while there is a small monthly fee, depending on the length of your registration, this is a small price to pay for the benefits of the site- once registered, anyone can search across the country for houses and apartments to stay in, looking after the place and keeping it safe while the owner is gone. There are hundreds of homeowners on the site waiting to be contacted, so after that, simply begin looking for the ideal sit for you. The registration fee for Trustedhousesitters.com is of £7.42 per month, or £89 a year. 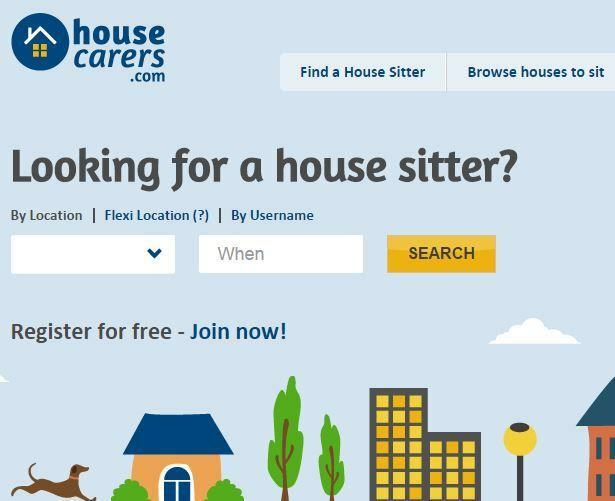 The registration fee for Housecarers.com is $50 (around £35) per year plus a Bonus 1 Month. House Sitters can join Housecarers.com for a free limited membership to receive House Sit opportunities but must upgrade to paid (Full) membership for to read secure messages sent by homeowner members. 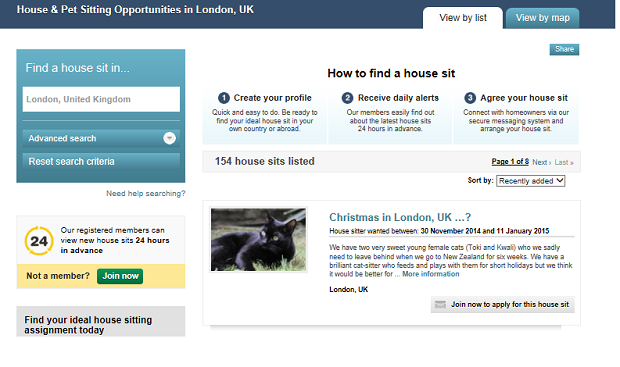 The registration fee for Housesitmatch.com is £35 per year for a standard listing, or £75 per year for the premium one which lets you use up to 800 words on listings, up to 7 images, video on your profile, being featured on Houseitmatch’s home page. #4 | What Else Should I Know? While most sits are for about a week to a fortnight, there are some houses on the site going for up to a year, depending on the owners’ needs; as such, it is very possible that for only six pounds a month you could live in the heart of London, with no obligations but those which you’d be giving to your own home anyway. In order to clinch the better places and locations on the site, it is absolutely vital to give a good first impression, coming across as kind, caring and respectable- both when speaking to the owner and in your own personal profile. Since so many house owners are looking for pet carers, a knowledge of animals is almost a must, but with time and patience, this skill as well as many others can be acquired while living and working in London. While it’s hard to find long-term housing in London at the moment, websites such as trustedhousesitters.com and Housecarers.com go a long way to help those with limited funds find a place they can stay, earning skills they will use in future life and helping others at the same time. While in many cases this is only a short-term arrangement, House Sitting is definitely a fantastic way to live in London for free. 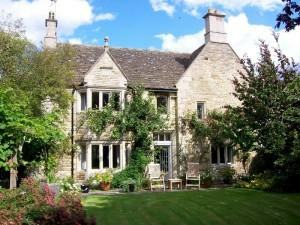 For more on free accommodation in London, visit our article on Property Guardianship.